Let’s face it; no one likes a damp basement. It’s soggy, has a weird smell, and just feels uncomfortable to be in. Plus, having water on your basement will not only lead to chipped paint and rotting wood but will also cause mildew and mold to form, which will eventually affect the value of your home and the integrity of its structure as well. That’s why water damage restoration Tucson is so important in order to seal the foundation of your home and protect it from hazardous damage. To help you prevent this dilemma, we’ve come up with some awesome tried and tested basement waterproofing tips so that you can design and use this pivotal space in any way that you like while keeping it dry and breezy. – The first step is to check your basement for any holes or cracks that might be present on the floor or in the walls. Then, fill these in with sturdy hydraulic cement so that they don’t crack open again. The best part about this type of cement is that it sets really fast and then swells up just wide enough to completely prevent water from coming in again. – Tucson water damage involves fortifying your walls against the slightest dampness or water infiltration. You can do this by smearing some waterproof masonry cement on the inner segment of the walls using a simple paintbrush,. A single coat usually does the job effectively, and without costing you that much time either. – Divert water away from the basement’s foundation by attaching some long or short extensions to the downspouts, depending on your situation, so as to push the water away from your foundation completely. This is a very simple but important tip that you can easily apply to keep your foundation dry and crack free. 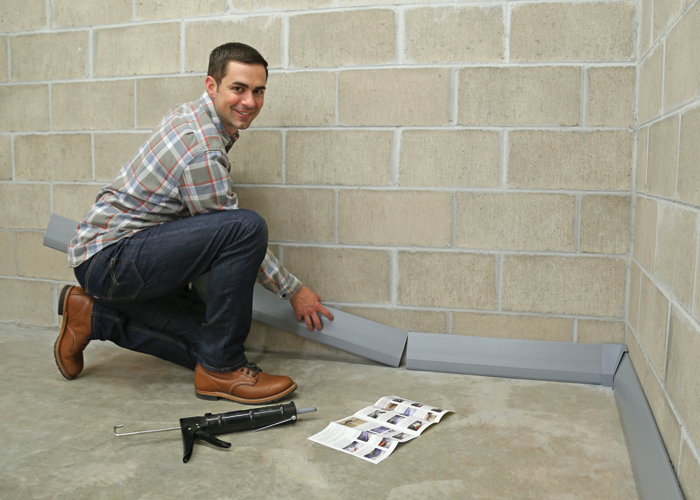 – If your home is designed in such a way that adding downspout extensions won’t help, then you should go the extra mile and dig a trough right below the downspout, making sure that the hole is big enough to fit a PVC pipe that measures at 4 inches in diameter. You’ll need this space to insert a below-grade pipe which you’ll then connect to the downspout and later to a drywell about 20 feet from the beginning of the trough. – Make sure that the hole you make around the drywell is large enough to fit a barrel, which is what you can use to make the drywell. Lastly, surround the hole with rocks to catch the water and prevent it from coming back up to the surface. This solution will make sure that the water is completely diverted from entering your basement so that you can prevent any potential water accidents from happening in your basement. water damage Tucson is a relatively easy job and only requires a proactive approach where you understand that prevention is better than cure, which is always the case with the maintenance of any structure.